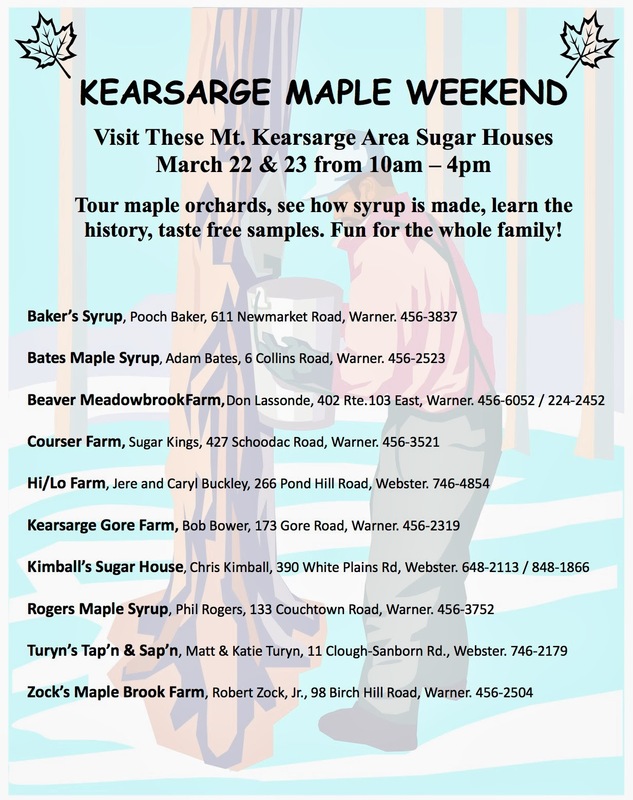 Ten Kearsarge area sugar houses are again joining forces to offer a fun-filled Maple Weekend for visitors on March 22nd and 23rd. 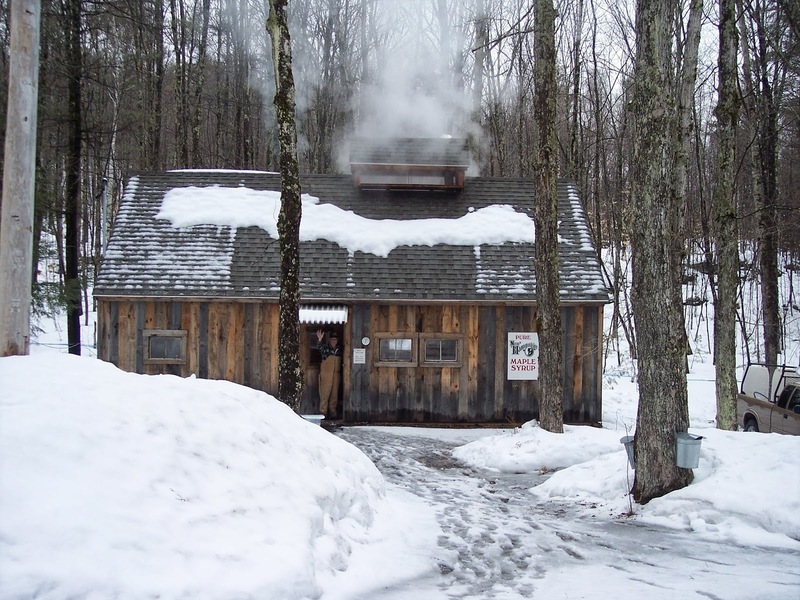 From sap gathering to boiling demonstrations and free samples of the final product, these maple producers are ready to help cure those with cabin fever. 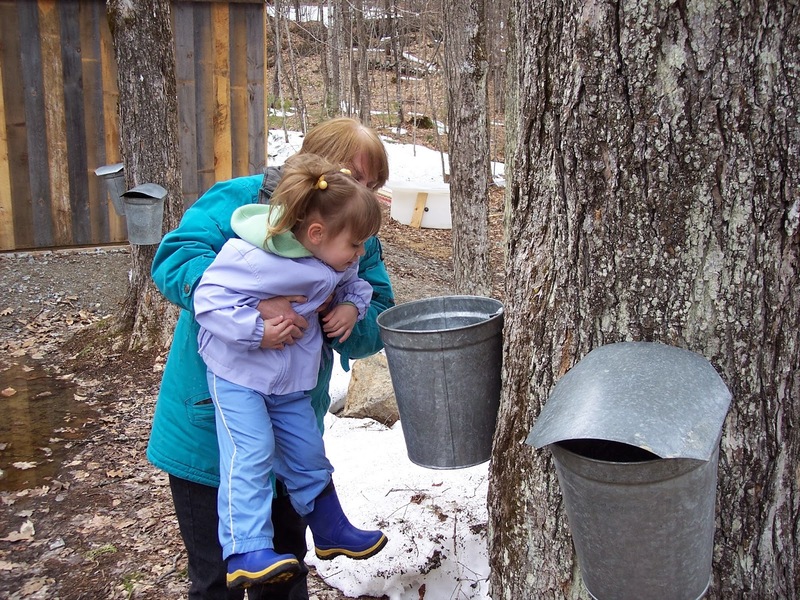 Visitors can tour a maple orchard and see how sap is collected, learn the history behind maple sugaring and enjoy some maple treats. Make the rounds of several sugar houses, and see how producers use different techniques and equipment. Hours are from 10-4 and admission is free! Baker’s Syrup, 611 Newmarket Rd. Bates Maple Syrup, 6 Collins Rd. Beaver Meadowbrook Farm, 402, Rte. 103 E.
Courser Farm, 427 Schoodac Rd. Kearsarge Gore Farm, 173 Gore Rd. Rogers Maple Syrup, 133 Couchtown Rd. 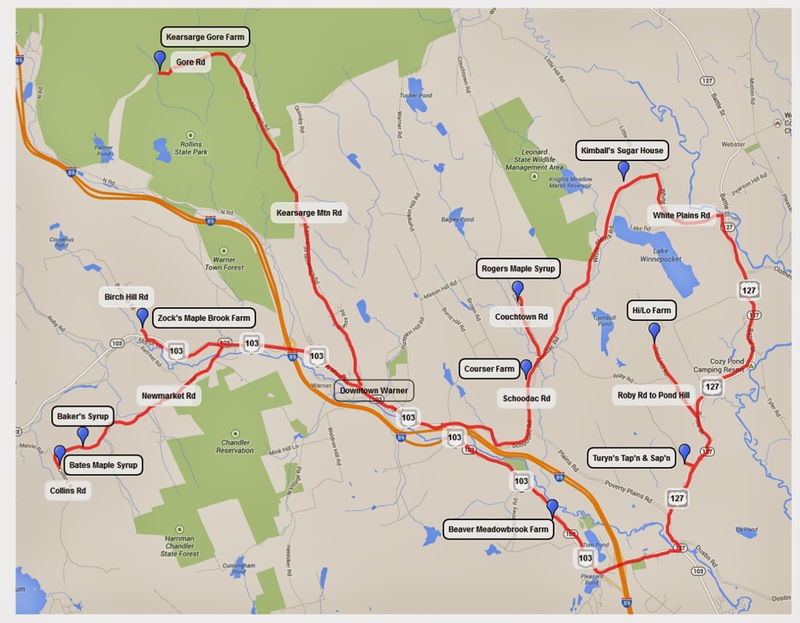 and Zock’s Maple Brook Farm, 98 Birch Hill Rd.